From hotels to retail units, there are plenty of investment opportunities up for grabs in Mansfield. Whether you're looking to take on a new business, or just want to see what's out there, here are some of the commercial properties up for sale or rent in Mansfield. The former New Townhouse bar on Stockwell Gate has recently been refurbished. It is available to buy (price on request) or rent for 20,000 per annum through Musson Liggins Limited. 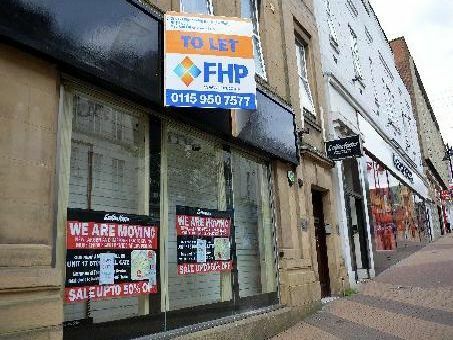 The former jewellers at 18, Regent Street is up for grabs for 96,000 plus VAT. The 495 sq ft is in the very heart of the town centre, offering sales and stockroom space. Marketed by W A Barnes LLP. BB's Italian resteraunt on Bridge Street is a family run business, and has been operated by the current vendors for over nine years. The business could be yours for 40,000. Marketed by Hilton Smythe.